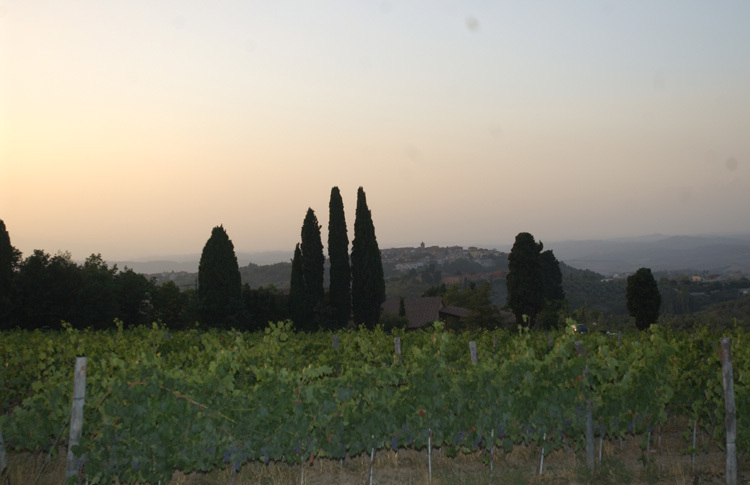 Colle Val d’Elsa | Tuscanyex | TUSCANY Experience - Excursions - Exploring - Expressions - Exclusive - Experts and so Exciting!! The Italian capital of crystalware. From March 31st 2012, the crystal museum is open in an underground space of the former glass factory “Boschi”, in via dei Fossi ( in the lower part near Sant’Agostino Church). Colle Val d’Elsa covers today the 95% of the Italian crystal production and almost the 15% of the crystal world production. In the museum, the extensive section “from glass to crystal”, traces the glassmaking processes from the first furnace in 1820 to the realization of the crystal industry in 1963, the pre-industrial glassy production finds dating from the 14th -15th century and some historical notice on the medieval glass activity in Valdelsa . Colle Val d’Elsa grew up from the 10th to the 13th century on a rocky spur along the left bank of the river. 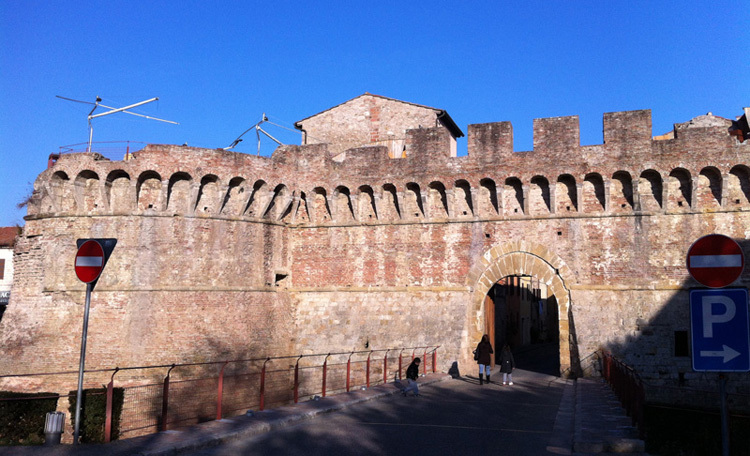 The town grew up from the 10th to the 13th century on a rocky spur along the left bank of the river developing into two distinct urban cores called Castello and Borgo. The latter is closed at one end by the massive Porta Nuova, a 16th century work of Giuliano da Sangallo. Marking the boundary between Borgo and Castello is a gully traversed by a stone bridge and watched over by Palazzo Campana, an unfinished Mannierist building erected around 1540 by Giuliano di Baccio d’Agnolo. Its great arch marks the entrance to the oldest part of the town. Huddled around Piazza del Duomo, on which face the most important ecclesiastical building of the city, containing a Crucifix attributed to Giambologna, and the Palazzo dei Priori, site of the civic and religious Art museum. Outstanding amongst its works are the polychrome wooden Crucifix by Marco Romano, a masterpiece of 14th century sculpture. Aside the cathedral, the Palazzo del Podesta or Palazzo Pretorio, whose facade maintains coats of arm, like the emblems of Colle Val d’Elsa and Florence to witness the strong bond between the two cities in ancient times. (learn more) With the last renovation in 1990, the palace returned to its former glory and houses the Archaeological Museum Ranuccio Bianchi Bandinelli, which include the findings of Dometaia excavations (site reached hiking and biking along the Via Francigena San Gimignano-Colle Val d’Elsa)A little later, in Via del Castello nr. 63, a tower house is worth a visit, according to the tradition, here, around the year 1245, was born Arnolfo di Cambio, a sculptor, architect and urban planner who also contributed to the construction of the tower of Palazzo Vecchio and the Cathedral of Santa Maria del Fiore in Florence.